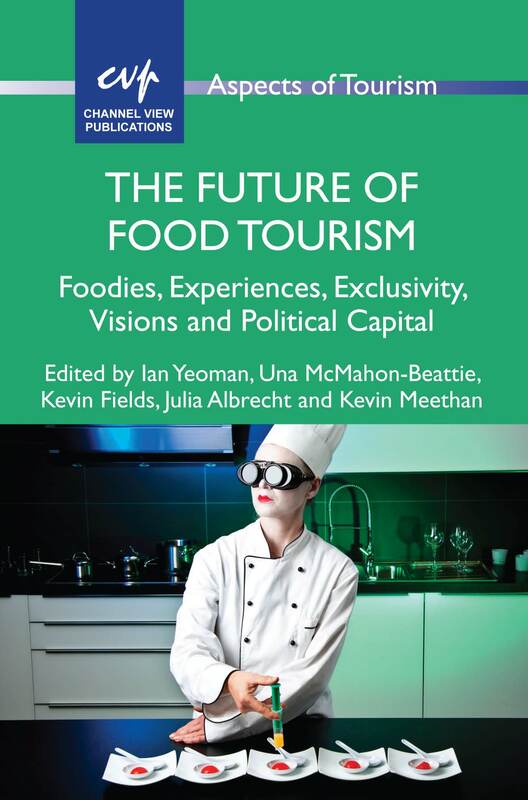 Earlier this month we published The Future of Food Tourism edited by Ian Yeoman, Una McMahon-Beattie, Kevin Fields, Julia N. Albrecht and Kevin Meethan. The book examines the changing trends of food tourism and in this post Ian explores the concept of the male foodie. Food is now a hot topic, constantly on our television screens and part of popular culture. Consumers today want to know about the food they are eating and are genuinely interested in cooking food. Indeed food tourism is now classed as a mainstream experience. This interest in food means men do a greater share of cooking at home than at any point in time for which records exist; furthermore, it seems likely that this represents a greater contribution to what has become an essential part of our lives in modern history. Younger men, both singletons and those living with their partner, are playing a greater role in the kitchen far more than their fathers did. What is even more surprising is that they enjoy this greater involvement. In fact it is viewed as both a passion and a leisure activity by this new generation of men in the kitchen. In the new book, The Future of Food Tourism, Ian Yeoman and Una McMahon-Beattie explore how men are claiming the kitchen in a particular way and the implications for food tourism. Food is the new rock ‘n’ roll by which men express their masculine identity. It is Jamie Oliver in the TV series Naked Chef who cooks with passion, fun and as a lifestyle activity rather than a domestic chore. Jamie Oliver is a man who negotiates the tension between ‘new man’ and ‘new lad’ with references to football, music, booze and babes but avoids any reference to seriousness as ‘you gotta laugh’. Then there is Heston Blumenthal’s aspirational wizardry that aligns the preparation of food with history, folklore, nostalgia and science or Hugh Fearnley-Whittingstall’s production conscious, thinking man’s real food or Gordon Ramsay’s macho man stance, where he turns cooking into a heroic task equal to the labours of Hercules. These celebrity chefs play an important role in society today, by both mediating how consumers understand food and the role of cooking within society. By 2030, will the British man be swapping football for culinary skills as chefs such as Gordon Ramsay become the new male icon? Why is this? Upwardly mobile men, aged between 25 and 44 are becoming passionate about food and the rewards it brings such as pleasure, praise and love. No longer will conversations in the bar be about the Premier League or Manchester United but tips and recipes about the best food and wine. Across the world societies are changing. By 2040, there will be 10% more men in China than women so men will have to work harder to impress those ladies – all in the hope of love. Today, we are observing a micro trend of men taking cookery courses, learning to appreciate wine, taking charge in the kitchen and food becoming ‘the’ new hobby. This upwardly mobile singleton has had his overseas experience – travelled to Europe, Vietnam and Patagonia and beyond – and tasted a variety of foods, whether it is an authentic curry in India or steak from Argentina. These travels and experiences ensure they acquire cultural capital about food which means once they return to Britain they will shop in local ethnic supermarkets for authentic ingredients or search out the finest cheeses in specialist food shops. Mass affluence in society has meant men have been able to try out new experiences, broaden their horizons and raise their expectations. Affluence has changed the way in which society eats and the way that they cook. Today, cupboards in our kitchens are laden with important delicacies from far afield. Men like being in the kitchen, as today’s modern kitchen is full of gadgets whether it is an ice cream maker, sous-vide machine or a chef’s oven range. A modern kitchen also means less washing up as the built in dishwasher takes care of that! Contemporary society and culture is also witnessing other changes such as a significant increase in the number of women entering the workforce which can result in creating new pressures in the home. In these circumstances it might be expected that men would do their fair share of household duties, whether it is childcare, cleaning or shopping. However, men have chosen to make their greatest contribution by involving themselves in the most creative area of housework – the kitchen. The male does not see this as a chore, but rather a hobby and a leisure experience. The kitchen for the male has become the ‘new battleground of the sexes’ – somewhere to be better and to outdo their partner. It is also a place to escape, away from the drudgery of everyday life and the pressure of work. To men, the kitchen is the equivalent of a spa treatment or somewhere to create a masterpiece. Thus, the man foodie has arrived. Dr Ian Yeoman, Futurist, Victoria University of Wellington and the European Tourism Futures Institute. For more information about the book please see our website. 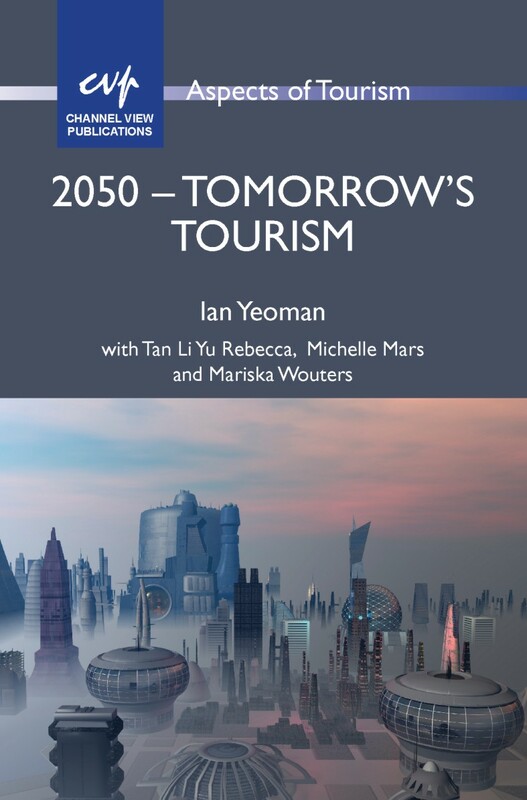 You might also be interested in Ian Yeoman’s previous book 2050 – Tomorrow’s Tourism.